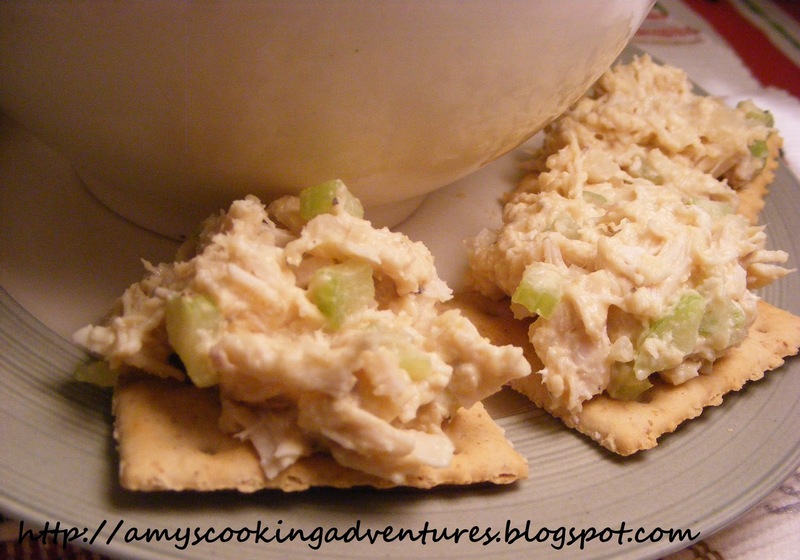 Whenever I have leftover chicken, like from chicken noodle soup or a roasted chicken, I like to make Chicken Salad. In my experience, chicken salad is loaded with calories from the large amounts miracle whip, sour cream, and ranch that I use. Recently, however, I found a unique recipe that used hummus as a base instead of all those creamy fattening dressings. And I have to say, it was a pleasant surprise. 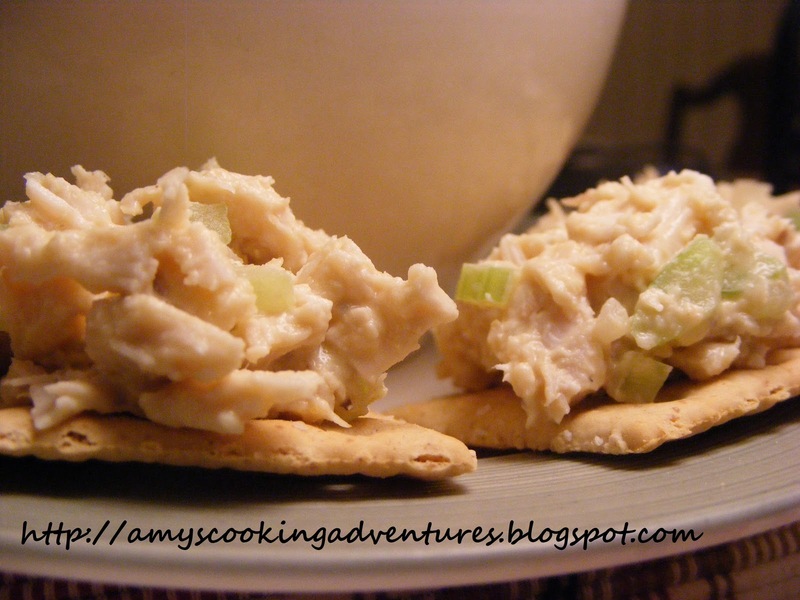 It was a bit more garlic-y than a traditional chicken salad, but just a delicious. Because I was missing some of the creaminess, I did add in some ranch dressing (replacing water from the original recipe). I spread my chicken salad on whole wheat crackers and ate them with my leftover soup, but it would be equally good on bread as a sandwich! In a large bowl, mix hummus, ranch, celery, onions, salt, and pepper. Add the chicken and mix thoroughly. I love chicken salad. This lightened up version looks really good!